Every Christmas Eve in many farmyards, animals come together to remember a very special night a long, long time ago. 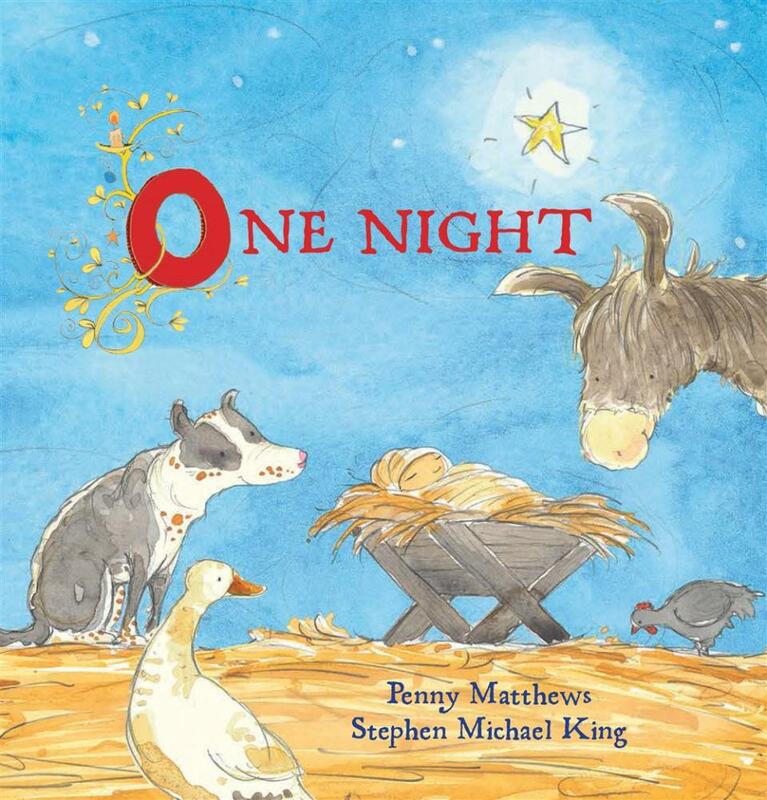 One Night is a beautiful Christmas story told from the point of view of the animals who helped, supported and gathered around the manger the night Jesus was born. This is a beautiful, gentle Christmas story for the very young without a hint of the materialism which weaves its way into many of the Christmas stories now. Preschool children will respond to and easily engage with the animals and their special duties. 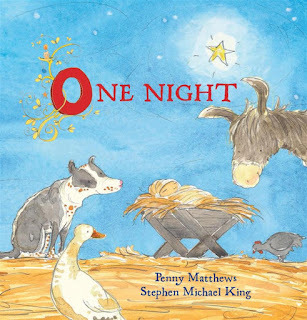 One Night is a perfect picture book to add to the Christmas reading list.